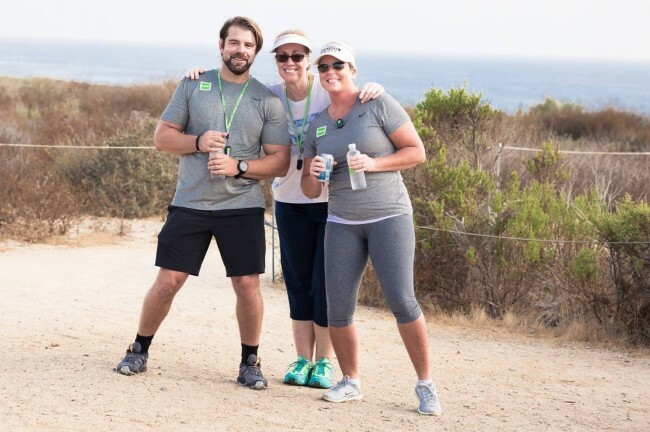 Steptember is a unique 28-day employee engagement and wellness initiative that challenges employees to walk or exercise up to 10,000 ‘steps’ a day from September 3rd to September 30th. The event runs in 7 countries worldwide, and since 2010 has engaged over 270,000 participants, raising over $20M for cerebral palsy research, the number one physical disability in childhood. Steptember is customizable, turnkey and scalable to any industry or workplace. Pedometer, Steptember smartphone app, website, customized organization leaderboard, on-going support from Steptember headquarters and much more provided. STEPtember not only boosts employee health, but also fosters cross-collaboration and peer support, improving workplace culture and overall productivity and performance. The STEPtember Headquarters Team helps you every step of the way, from recruiting and registering participants, to providing a robust toolkit of communication templates, key messaging, weekly employee engagement emails, employee standings reports with stepping and fundraising data and much more. Team leaders create teams of 4 who compete and motivate each other along the way. Teams compete with steps and funds raised and can view where their team ranks within the company and on US and global leaderboards. Steps are tracked an exclusive STEPtember pedometer (supplied) or your own fitness tracker (FitBit, Garmin, Apple Health) and progress is recorded on the fun STEPtember website or mobile App. Participants receive an online page to track their steps and team ranking as well as share their journey with co-workers, friends, family. Motivational videos and messages keep participants engaged throughout the campaign. STEPtember began in 2010 in Australia, as the Cerebral Palsy Challenge. After two very successful years the decision was made to take STEPtember international. In 2019, it will run in the United States, Australia, Turkey, Canada, The Netherlands, New Zealand, Singapore and India. You will be able to track your progress against teams in all of these countries. 1. Contact Glen Deutscher to register your organization at glen.deutscher@cparf.org. 3. Reach out to friends, family, co-workers, and others throughout your network to support your amazing contribution to cerebral palsy research. 4. Step it up to 10,000 (steps per day) throughout the month of September!